If you’re waking up in pain, sick of tossing and turning or regularly feeling hot and bothered under your sheets, it’s about time you considered sleeping on the Ovela Bamboo Memory Foam Mattress Topper. Sleeping at an optimal temperature is proven to promote a restful night’s sleep, and silky soft bamboo can help you find your sweet spot. Bamboo is extremely light and breathable, and works to wick moisture away from your body (it’s up to 4x more absorbent than cotton), keeping you cool and comfy even on those sticky summer nights. Bamboo is naturally hypoallergenic, antibacterial and resistant to dust mites and mould, helping to keep asthma and allergies at bay. Your Bamboo Memory Foam Mattress Topper will mould itself perfectly to your unique body shape, offering total body support and superior comfort all night long. 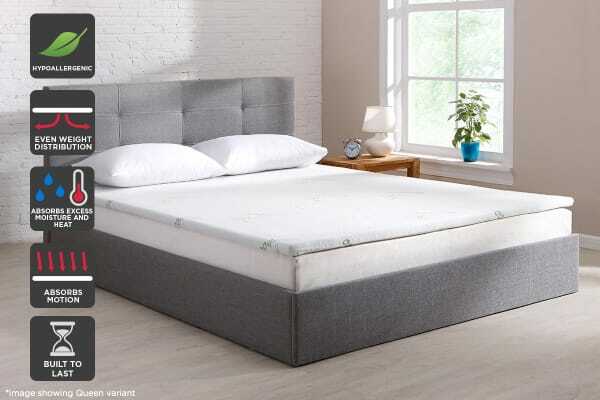 By taking pressure off bones, joints and muscles, the Ovela Bamboo Memory Foam Mattress Topper can assist in relieving your body from aches, pains and tension. Your mattress is an expensive investment. So why not protect it? 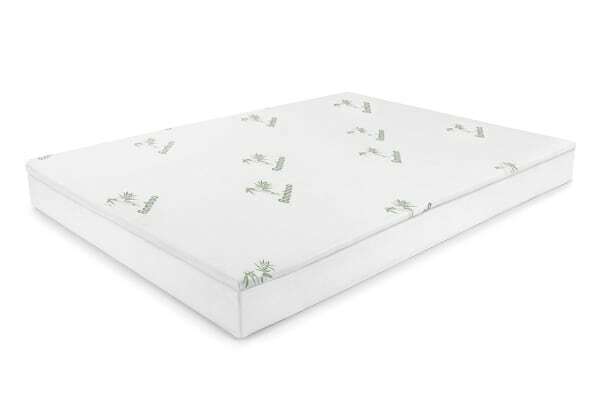 The Ovela Bamboo Memory Foam Mattress Topper can act as a protective shield from leaks, spills, dirt and dust.